Thomas Bass is Professor of English and Journalism at the University at Albany, State University of New York. 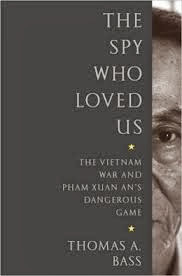 His books include The Spy Who Loved Us: The Vietnam War and Pham Xuan An's Dangerous Game, Vietnamerica: The War Comes Home, and The Eudaemonic Pie. He lives in New York. Q: Why did you decide to write a book about the Vietnamese journalist/spy Pham Xuan An? A: He was incredibly charming and intelligent. On our first meeting, I knew right away that I wanted to write about him. I spent 14 years interviewing him. What sealed the deal was a contract with The New Yorker to write an article, and that led to something larger. I spent hour after hour in his living room. He was an astounding raconteur. It took a long time to discover that he was a spy with not only one cover, but also a second cover. He ranks as one of the greatest spies in history. This is one of the subjects you find, you spend years pursuing, and you are still mystified at the end. Q: How did you select the title, The Spy Who Loved Us? A: The idea came from Pham Xuan An. It was part of his cover, and part of his truth. He valued the First Amendment and the journalistic principles and practices of the United States. He loved the United States, as well as being its archenemy. Q: You write, “When my inquiries became too pointed, he turned from assisting my book project to trying to block it.” Why did he do that? A: This had to do with his second cover as a spy. He was always an intelligence agent reporting back to headquarters. When my questions got too close to the truth, it made him nervous. Neither I nor any other American knew how many military medals he had won—each for a successful military mission or invaluable piece of intelligence; he hid that fact. Q: What did you find out about Pham Xuan An that surprised you most? A: The number of military engagements where his advance information and intelligence were crucial to North Vietnamese victories. The disastrous invasion of Laos by the South Vietnamese army in 1971--Pham Xuan An was all over that; he wiped them out. He was a key figure in that North Vietnamese victory. Q: You’ve also written Vietnamerica, about Vietnamese Amerasians. How did you end up writing that book? A: All of these books begin with a germ of an idea. I noticed there were 20 million, 30 million, 40 million refugees around the world. I began to write a book about refugees. I was living outside of Utica, New York, and I drove downtown to find the nearest refugee center. I saw a tall redheaded kid walking down the street. He looked at me, I looked at him; I asked him for directions to the refugee center, and then I realized that he didn’t speak a word of English. He was Amerasian. Utica was the major resettlement site in the U.S. for Amerasians. Q: What has happened to the Amerasian community in the United States since that book was published? A: I testify in a lot of court cases. We have draconian statutes stating that any refugee who runs afoul of the law must be returned to his or her home country, but Vietnam doesn’t accept Amerasians, so they spend the rest of their lives in prison, unless pro bono lawyers and other do-gooders intercede. It has not gone well for Vietnamese Amerasians. They expected to be reunited with their fathers, and they weren’t. They expected to go to school. But they’re still at the bottom of the social ladder. I stay in touch with them. Every book makes a claim on the author. I get a couple of requests a month for help from a father or a child. Q: Given that today is Veterans Day, what is your sense of how veterans of the Vietnam War are thought of today? A: They were treated badly when they returned from the war. Thousands of them are homeless. They have mental health issues, PTSD, drug addictions, you name it. The United States has turned into a military fortress, bunkered into a terrifying and terrified solitude. We attempt to include Vietnam vets in our flag-draped propaganda, but these vets are still held at arm’s length. They embarrass us. They’re losers, and we don’t like losers. A: I just finished a long piece on Vietnam. I can’t seem to stay away from the subject. I have a grant to work in Tunisia. 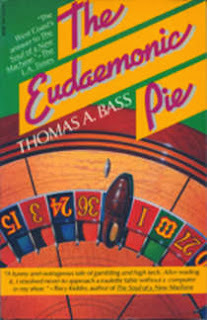 My first book, The Eudaemonic Pie, about breaking the bank in Las Vegas with toe-operated computers—is being turned into a movie and re-released as an e-book. A: About the op-ed on Vietnam that I wrote recently in The Washington Post, what fascinates me is how ignorant we were about Vietnam and its people, and how ignorant we remain today about Vietnam and its people. But until the Vietnamese open their archives—which will not be any time soon—we are not going to get the answers.